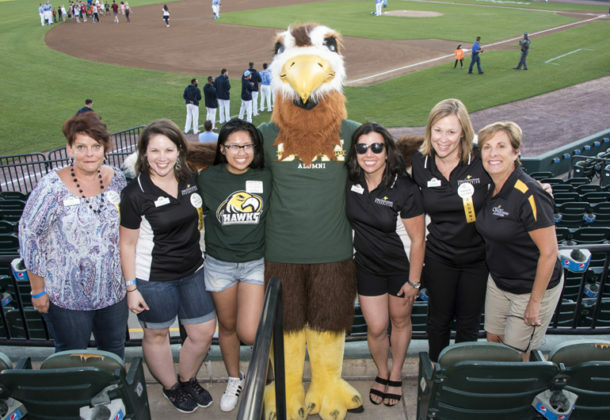 Join the CSM Foundation in celebrating the college’s 60th anniversary and a 60th Birthday Bash will be held Sept. 14 at the Southern Maryland Blue Crabs vs. New Britain Bees baseball game. The first 200 tickets are free if reserved in advance. To reserve, call 301-934-7647. College of Southern Maryland students are starting their fall semester, but the entire community can find something of interest in the college’s September events. After taking a break for Labor Day, all three campuses will reopen Sept. 4 and the fall semester will begin. Along with classes, the college will begin the “Rest Area” Exhibit by Rob O’Neil in the La Plata Campus Fine Arts Center, Tony Hungerford Memorial Art Gallery, 8730 Mitchell Road, La Plata. The exhibit will be open Monday through Friday from 9 am to 9 pm; and Saturday from 10 am to 6 pm until Oct. 4. Celebrate a major milestone for the college at the CSM 60th Birthday Bash at 6 pm Sept. 14 at the Legends Club within the Regency Furniture Stadium, 11726 Saint Linus Drive in Waldorf. The community is invited to join the CSM Foundation in celebrating CSM’s 60th anniversary during the Southern Maryland Blue Crabs vs. New Britain Bees baseball game. The first 200 tickets are free by reserving if they are reserved advance. To reserve tickets, call 301-934-7647. The college is looking for alumni stories, especially before the event. Visit CSM online to tell your story! Current students will want to attend the CSM Transfer Fair from 11:30 am to 1:30 pm, Sept. 17 at the Prince Frederick Campus; Sept. 18 at the Leonardtown Campus Building D; and Sept. 20 at the La Plata Campus in the BI Building. Students will be able to meet representatives from a variety of colleges and universities, explore college majors, degree programs and meet with CSM faculty to get information about planning the next step in their education. The 13th annual Free Grant Training Seminar is set for 9 am to noon Sept. 21 at the La Plata Campus, Center for Business and Industry (BI Building), in the Chaney Enterprises Conference Room (Room 113). Seminar attendees will learn how to create and use a logic model — a visual representation of an organization’s initiatives, activities, outputs and expected outcomes. The event is sponsored by the Nonprofit Institute, CSM, Charles County Library, Charles County government, Charles County Charitable Trust and the Maryland Governor’s Grants Office. To register for the free event, visit CSM online. CSM Cause Theatre is hosting Hawk Talk, a chance to discuss the themes related to the upcoming presentation of “Vanya and Sonia and Masha and Spike” at 2:30 pm Sept. 25. The free event will be held at the CSM La Plata Campus in the Fine Arts Building, Theatre. Learn more on CSM’s arts website. CSM Cause Theatre will then present “Vanya and Sonia and Masha and Spike” at 7:30 pm Sept. 27; 8 pm Sept. 28; and 2 pm Sept. 29 at the La Plata Campus, Fine Arts Building, Theatre. The play is about middle-aged siblings coming to terms with their lot in life. Due to subject matter, this presentation may not be suitable for all ages. Tickets are $5. For information, email bxoffc@csmd.edu or call 301-934-7828. Celebrate CSM’s diamond anniversary decade-by-decade at 6 pm Sept. 29 at the College of Southern Maryland La Plata Campus. The community is invited to enjoy music by Backfin Band and several food trucks will be on hand. Sponsorships are available or individual tickets can be purchased for $60 each. For more information, call 301-934-7647 or email csmfoundation@csmd.edu.